Cross referenced the statutory mission for the university and its charge to “educate and improve the human condition” by relating ways in which this can best be done when the State and University are partners. A serious challenge is to get more students into and through the System and keep more of the graduates here to leverage economic success. Looking at higher education as an investment, Cross cited statistics which speak to the need to think of the UW System as bringing a return on the investment. Developing the state budget is a difficult process and the System is not exempt from hardship. However, he described ways in which the university can and should be viewed as a long-term partner, not another state agency or expense. This entry was posted in 2. 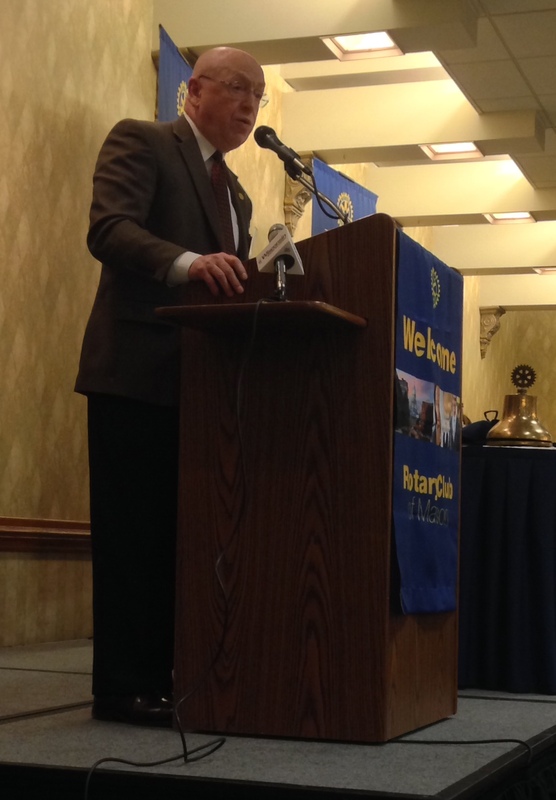 Meetings, Weekly Rotary Guest Speaker and tagged Rotary, Rotary Club of Madison, UW System, UW System President Ray Cross. Bookmark the permalink.